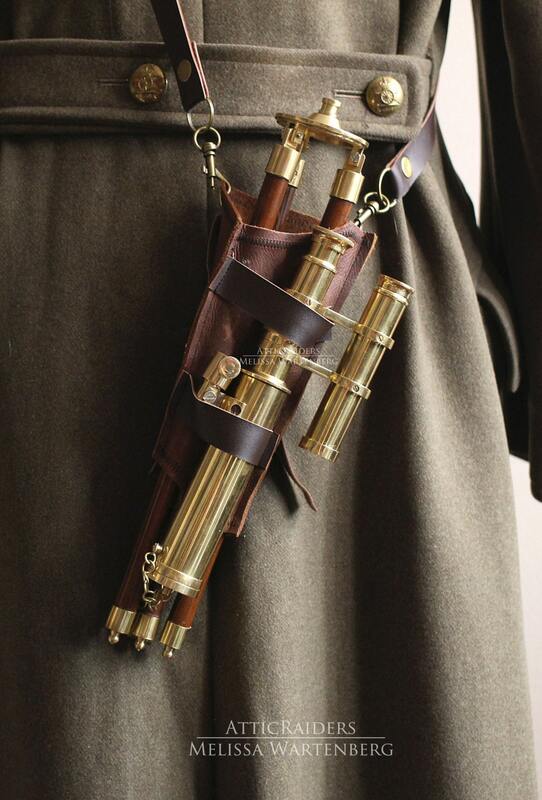 Brass and wood come together to create this handsome adventurers accessory - a fully functional Steampunk telescope made of solid brass paired with a genuine leather holster to tuck it neatly away at your side, ready to use in a moments notice. 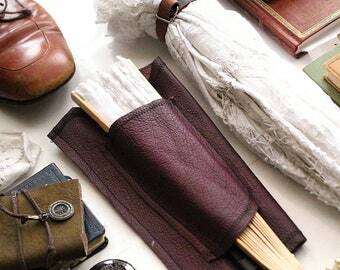 This functional telescope comes with a wood stand which folds up and slips into the custom brown leather holster, a holster that has a unique character all on its own thanks to the genuine leather it's made with and finished with an oil based leather conditioner to help dispel water and dirt. Clip the adjustable strap into the holster or leave it off and slip a favorite belt through the adjustable belt loops at the back of the sheath for an alternate way to wear your accessory. 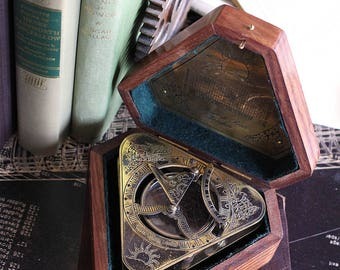 Across the chest, hanging neatly on the shoulder or sitting strapped across the waist and resting on the hip - however you choose to carry this brass item, it's compact design is a sought after feature for travelers alike. 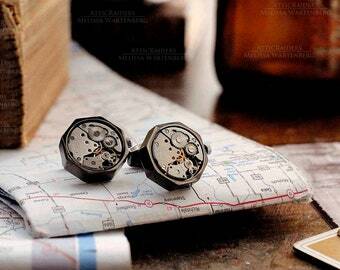 But the best part is, it's not just for traveling; this steampunk piece also packs a room presence too. 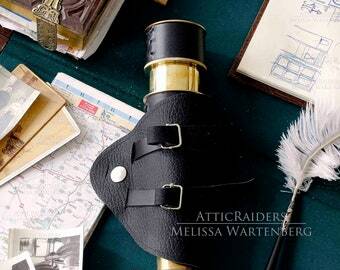 Set up this telescope on a desk or small stand and swiftly transform your regular furniture into something steampunk while enjoying the functional telescope within the comfort of your own home. To use the telescope, simply hold the brass head in your hands to look through or it can be attached to the head of the wooden stand and screwed into place with the large brass machine screw to firmly hold it together. 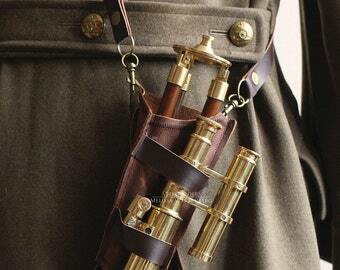 When it's ready to be put away, simply unscrew the head from the stand, reattach the brass cap onto the telescope, belt in the brass telescope first into the front of the holster as shown and slip the stand into the main cavity last. Functional and luxurious, this accessory is a simple way to add something useful to your costume without needing to fuss making it an accessory worth exploring. - Please look closely at your favorite item and always ask questions so you are confident in your purchase. - real leather has been used to make this item meaning the leather bears marks, scars etc which may not be visible in the pictures of this item. - Any and all body parts, backgrounds, background stuff and other things in the pictures are not included in the sale of this item. 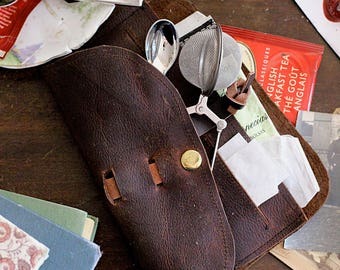 You are purchasing a leather holster with a wood stand and brass telescope head only – parts are not replaceable if and not limited to, broken, stolen, lost, etc.